In seven days’ time we will gather in Orkney to remember the 737 men who died when HMS Hampshire sank on 5 June 1916. The centenary commemorations are not confined to Orkney though. We have heard of events in Norfolk and Winchester, while others in the UK and around the world will join via the internet or through quiet reflection at home. 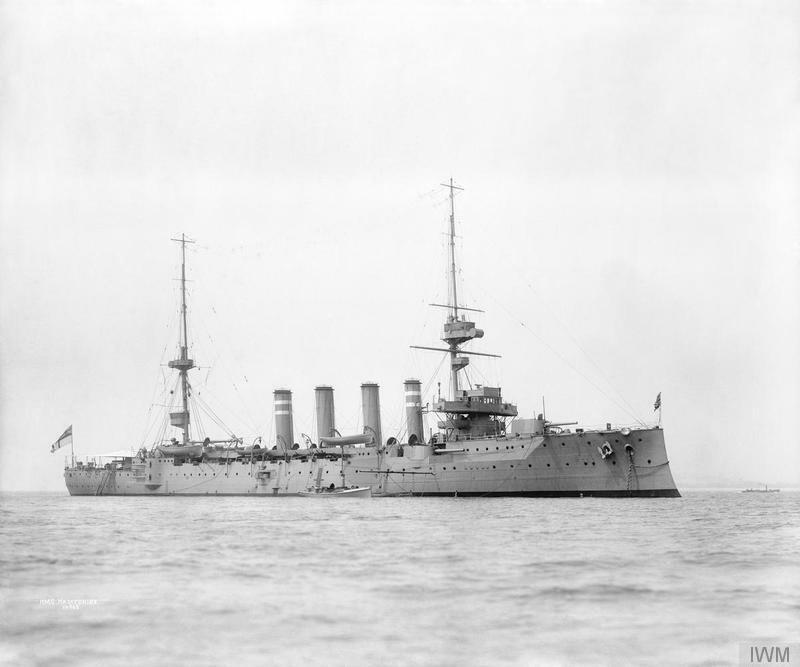 HMS Hampshire was sailing to Russia in stormy conditions when she hit a mine at about 8.45pm, British Summer Time, just off Marwick Head, Orkney. There were only 12 survivors. There will be a service to remember these men from 8.00pm on Sunday 5 June on Marwick Head, adjacent to the Kitchener Memorial. The service ends at 8.45 with a two-minute silence. During the service the new HMS Hampshire commemorative wall, an Orkney Heritage Society project, will be unveiled. The low arc-shaped wall is engraved with the names of all 737 men, as well as the nine who died when HM Drifter Laurel Crown was lost on 22 June 1916. Incidentally, the society has received many generous donations, and grants, towards the cost of the wall. If you feel you would like to help there is a JustGiving page. We have posted, on Facebook, some advice for those attending the service. Key points include: make sure you book a place at the service and on the shuttle buses; if you are a visitor to Orkney, please note it may be surprisingly cold and wet on Marwick Head; and it is a steep walk to the Kitchener Memorial from the bus drop-off point. The service will be streamed on the internet and onto a screen at Birsay Community Hall. For the latter, book here. Birsay Heritage Trust has organised a series of centenary events under the banner Remembering The Hampshire. These include an HMS Hampshire exhibition at Birsay Community Hall, Orkney on Friday 3 June, Saturday 4 June and Monday 6 June from 11.00am to 5.00pm. Historic artefacts will be on display, along with a new model of the ship made by Paul Tyer of Peedie Models, Orkney – and there will be cream teas. There will also be a chance to order the new Orkney Heritage Society book, HMS Hampshire: A Century Of Myths And Mysteries Unravelled, to meet editor James Irvine and for relatives of the crew and passengers of HMS Hampshire to contribute short anecdotes for inclusion in the book. And you will be able to see three new sketches by Belgian artist Koen Broucke, who is attending the exhibition. Two of the acrylic and pencil sketches depict Marwick Head, one showing the Kitchener Memorial when it was being restored by Orkney Heritage Society, and the third is entitled The Return Of The Hampshire. After the exhibition the sketches will be loaned to the Orkney Islands Council collection. Wednesday 1 June, 7.30pm: Illustrated talk, Remembering The Hampshire, presented by the Archaeology Institute of the University of the Highlands and Islands. Birsay Community Hall. Free event. Friday 3 June, 6.30 & 8.30pm, also Saturday 4 June, 7.30pm: Birsay Drama Group & Friends present A Fitful Sea, a commemorative programme in narrative, poetry, music and song, at Birsay Community Hall. Tickets from: OIC Customer Services, Kirkwall; Warehouse Buildings, Stromness; Dounby Post Office; Palace Stores, Birsay. Saturday 4 June, 3.00pm: The Battles Of Coronel And Falkland Islands film show, Birsay Community Hall. A full list of events linked to the HMS Hampshire centenary, and that of the Battle of Jutland, is on the Orkney Islands Council website. Away from Orkney, there is a concert by the Winchester Consort in Winchester Cathedral on Sunday 5 June. The programme of music includes Lullabye For Lucy by Sir Peter Maxwell Davies. More information and booking here. And in Norfolk on Sunday 5 June people will gather to commemorate one of the men lost with HMS Hampshire, Ship’s Corporal George Harry Bond, whose parents were living in Great Ryburgh. Activities include displays, a special peal and a tree planting. “In loving memory of Dear Brother George Harry Bond who lost his life on H.M.S.Hampshire June 5th 1916. Please note: this blog has been updated since it was first posted to include more information about the HMS Hampshire book, Koen Broucke’s sketches and the webpage for the live feed of the memorial service. Hello again. First of all thank you to everyone who is taking an interest in our Kitchener & HMS Hampshire Memorial project, following the blog, adding likes on our Facebook page, re-Tweeting us, making donations, spreading the word, whatever you are doing it is a great help, and much appreciated. Thank you also to everyone who came on our fund-raising tour of Orkney’s Ness Battery and shoreline, organised and led by one of our project volunteers, Andrew Hollinrake. This raised more than £120 and boosted the local war-time knowledge of those attending. You may have heard on BBC Radio Orkney, or read on The Orcadian website, that we hope to organise a giant recycling project by sourcing stone somewhere in the West Mainland of Orkney for our proposed commemorative wall to the 736 men lost on HMS Hampshire. We are looking for someone with suitable stone, or a ruin, on their land that we could use to build the wall; an opportunity to get what might be the remains of an old family home, or perhaps an old animal shelter, turned into a significant war memorial. Our press release explaining more about this appeal for help is reproduced at the bottom of this blog. Recent press coverage of our Kitchener & HMS Hampshire Memorial project includes Scotland Outdoors (which has a feature on Orkney in its March/April edition), the Culture24 website and the Portsmouth News. The Portsmouth News article received an amazing response. Nine groups potentially interested in coming to Orkney for next year’s HMS Hampshire centenary commemorations contacted the journalist Chris Owen. And our JustGiving website received a significant boost in donations. Thank you all. Volunteers behind plans to build a commemorative wall for the 736 men lost on HMS Hampshire in 1916 are hoping to create an unusually large recycling project in Orkney. 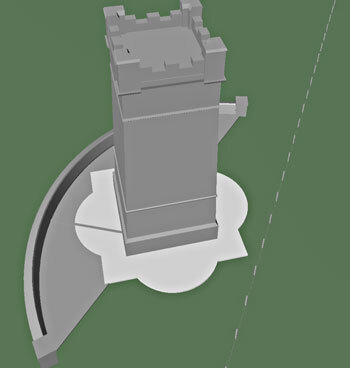 The planned wall, to be built next to the Kitchener Memorial, will be around 20 metres long and the project team hope to find the required stone somewhere in West Mainland. “We are looking for someone with some suitable stone, or a ruin, on their land in the West Mainland, preferably Birsay, that we could use to build the wall,” said Neil Kermode, chair of the Kitchener & HMS Hampshire Memorial project. Because this is a specialist job we are looking for several possible donors and we will then get the masons to pick the stone they think will work best. The project team will arrange the removal of the chosen stone from the land and the delivery to the tower. Anyone who would like to offer stone can email kitchener.memorial@gmail.com or write to Neil Kermode, Quarry House, Finstown, Orkney, KW17 2JY. The planned wall, subject to planning permission, will be a little over a metre high. Local building stone will be used for the seaward side. The names of the 736 men who died, including Kitchener, will be engraved in granite in order to be more weather resistant. The project team also plan to restore the Kitchener Memorial to its original condition. Orkney Islands Council has already granted planning permission for this part of the project which will see the tower’s stonework restored to its original condition, the roof inspected and repaired, the ventilation reinstated and the former inspection doorway in the memorial restored. You can follow the progress of the Kitchener & HMS Hampshire Memorial project on Facebook (@Kitchener.Memorial), Twitter (@kitchenerorkney) and via a blog at kitchenerhampshire.wordpress.com/. 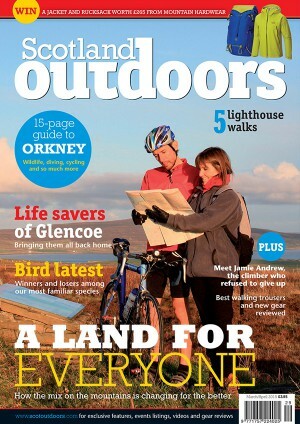 Fund-raising is underway for the £200,000 project and donations are welcome via the group’s JustGiving page: https://www.justgiving.com/orkneyheritagesociety. A fund-raising tour of Ness Battery (on Saturday 21 February), led by Andrew Hollinrake, one of the project team volunteers, raised more than £120.